Hey, everyone! I only recently discovered Crystal's blog, Dreams, etc., and I can't wait to read it more when I'm recovered. Today, I asked her to share about the Twin Cities because I have never been and would love to go someday! Hello Siberian American readers! I'm Crystal, the storyteller behind the blog Dreams, etc. and I live with Minneapolis with my sweet pup Little One. Can I let you in on a little secret? When I moved to Minnesota at the age of nine, I was not a happy camper. I had no desire to live in Minneapolis and always planned to move away. I had dreams of living by the ocean, or in the mountains, or in New York or Seattle.... the list was endless! Basically, I wanted to live anywhere but Minneapolis and I let my parents know it. And while I still sometimes think about moving someplace else, I'm really happy that I get to call Minneapolis home. 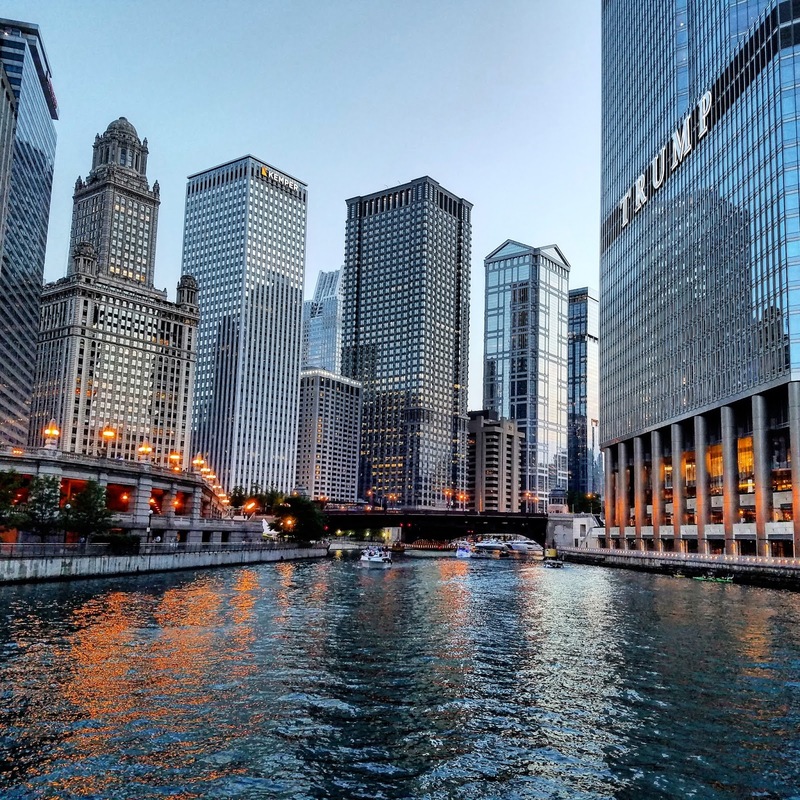 There are so many things to love about this city--and so many things that make it a great destination to add to your travel bucket list. 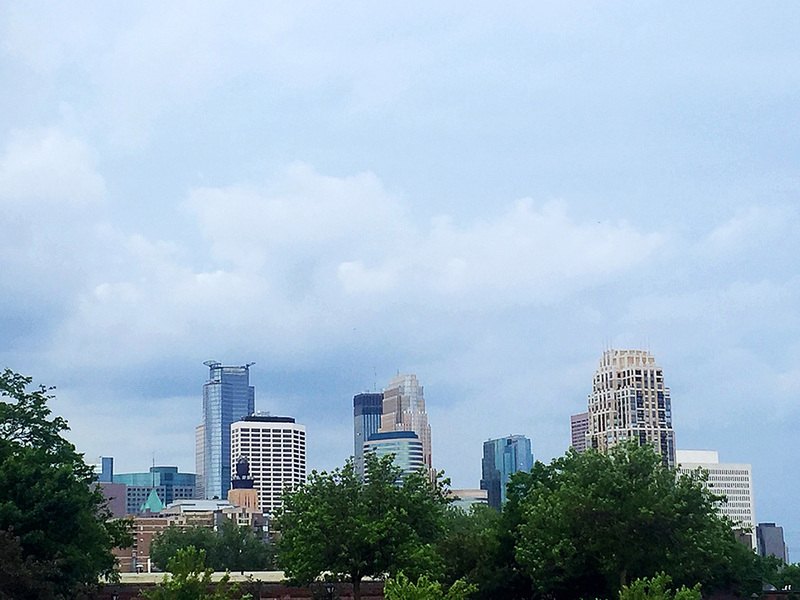 Here are five things to get you started if you visit the Twin Cities. 1 // Mall of America I’m putting this one on the list by default, because it is a well-known attraction in Minnesota and for that reason alone it’s worth a mention. I don’t spend a lot of time there and only go when my friends want to. It’s not my favorite place to be—and you’ll hear that from a lot of Minnesotans. It’s just so BIG! But, if you don’t mind the crowds, there’s a lot to do at MOA and you won’t be able to see or do it all in just a day. If you have kids, spend some time at Nickelodeon Universe (which will always be Camp Snoopy in my heart <3) and go on the rides! My favorite is the Paul Bunyan Log Chute, because a water ride with a folklore tie-in makes for a happy Crystal! I’ve heard the Sea Life Aquarium is also a hit, although I’ve never checked it out. The Mall of America is also a shopper’s paradise. If you have specific stores you’d like to hit, be sure to check out a mall map, otherwise you can just stroll around and see what you find. 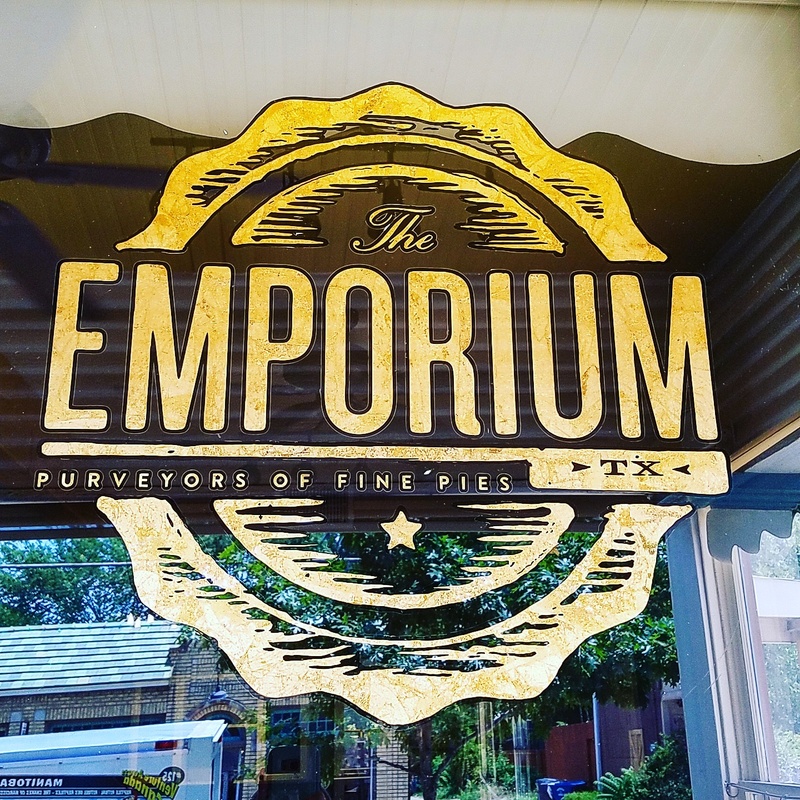 Spend the day shopping, grab a bite to eat after and end the visit with a movie at the theater! 2 // Take in the Art Scene One of my favorite things about Minneapolis is its passion for the arts. During the warmer months (and even during winter) you can usually find an art festival or open artist studios to tour. If you enjoy those types of activities, keep an eye out for Art-a-Whirl in May, a weekend devoted to open artist studios! We also have quite a few noteworthy art museums: Minneapolis Institute of Art (my fave--the museum also has a great view of the Minneapolis skyline), the Weisman Art Museum at the University of Minnesota, and the Walker Art Center with the sculpture garden (where you can see the iconic Cherry and Spoon, although it's currently closed until June 2017) across the street. 3 // Visit the Theater Love the theater? 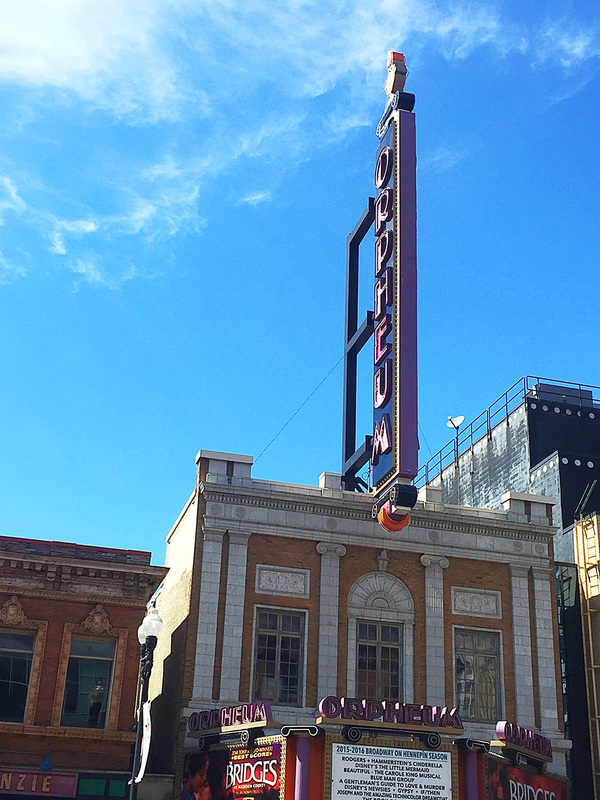 Check out what’s playing at the Orpheum or the Guthrie (this is one of the coolest buildings AND it's located in my favorite part of the city). Or head into the other half of the Twin Cities for the night to see what’s playing at the Ordway in St. Paul. You can also check out one of the smaller theaters in Minneapolis: Mixed Blood, The Jungle Theater. My favorite is Theater in the Round. It’s totally affordable and I was wowed by the two plays that I saw there: Hamlet and Much Ado About Nothing (my all-time favorite play)! Be sure to grab dinner before the show. The Old Spaghetti Factory isn't too far away and it's totally worth a visit! 4 // Spend Time in St. Paul Minneapolis my favorite of the Twin Cities, but St. Paul is a charming city to visit. It's also the home of one of my favorite museums: the Science Museum. That might sound a little nerdy, but I absolutely love spending time there. Check out their permanent exhibit and look for the mummy. See what special exhibit they have (I've never been disappointed) and check out an Omnitheater show (probably my favorite thing to do there). 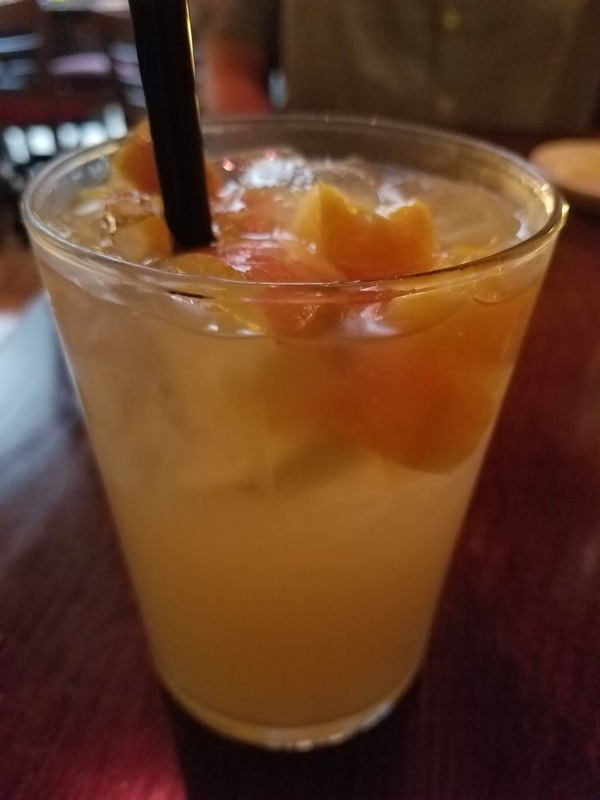 Other notable activities in St. Paul: visit the state capitol and the Cathedral of St. Paul, tour the James J. Hill House, and check out a Gangster Tour and/or the F. Scott Fitzgerald tour (two things on my St. Paul bucket list). 5 // Minnehaha Falls One of my favorite places in Minneapolis is Minnehaha Falls and it's always a stop that I recommend when I hear that someone's visiting. 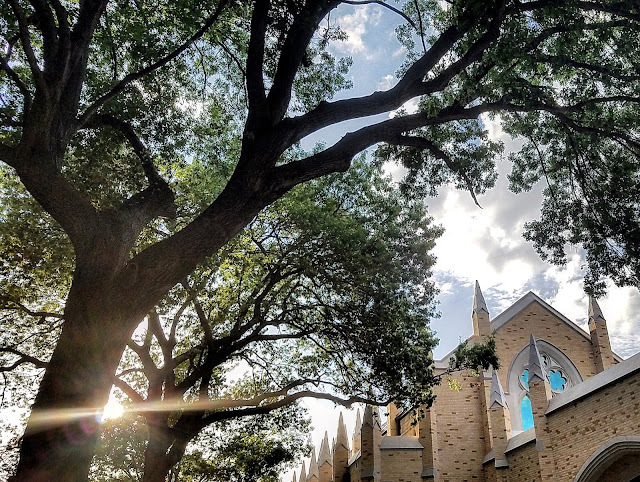 It's a beautiful sight, no matter when you visit! During the summer you can see the falls in action and walk along the river. The falls are also spectacular during winter when all the water freezes. I've only been there once, but it such a spectacular sight and I'd love to see the frozen falls again! A big thank you to Olya for letting me write about this city that I’ve grown to love so much. And thank you for taking some time to read through this massive post. I hope it’s piqued your interest in this beautiful and vibrant city! Hi friends! 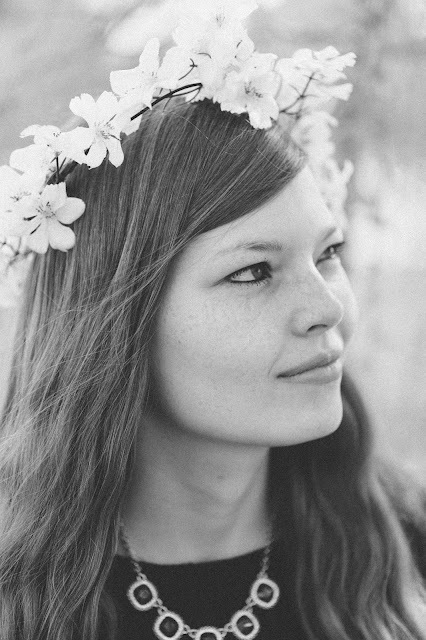 My name is Chelsea and I blog over at The Girl Who Loved to Write. I started following Olya's blog forever ago. I noticed that her husband was also in medical school and that he was the year above mine, so I loved getting her perspective on what was to come. Now that we've both made it out of the med-school phase of life (YAY), one thing we have in common is that we've both had to move for our husband's medical careers. Falling in love with your city takes some work, whether you've just moved somewhere or you've lived there for ages. But it is possible! Here are some ways I've found that work for me. Step out of your comfort zone. Whether you've lived in your city for years or you've just moved there, you're not going to fall in love with it by staying inside your house and not pushing yourself to try new things. It can be uncomfortable, but after the first few times of pushing yourself, it only gets easier! So step out of your comfort zone! Go to events in your area, even if you normally don't go places alone. Get coffee and strike up a conversation with your barista. Join a small group or a book club. Even if you're introverted (like me! ), you can do it! Look up reviews as if you didn't live in your city. When you're on vacation and want to find somewhere to eat, chances are you don't go to a chain you already know about. You research! You yelp and google and find out where people's favorite places are. So why not do that for your own city? Test out the brunch place with the highest ratings and see if you agree. Try out the happy hour with live music. Grab a beer at the hole-in-the-wall place you would have never thought to try. If other people in your city liked it, chances are, you will too. Seek out the things you like. It's so easy to just say, "This town doesn't have a lot that I like." And just leave it at that. A moment of honesty: Falling in love with your city sometimes takes a little bit of work. So do the work. If you love reading, look up bookstores near you. And for goodness sake, get a library card! If you love getting fancy, look up wine tastings. If shopping is your thing, look up boutiques. So many times we say there's nothing to do where we live, but a more truthful statement would be, "I haven't stumbled upon anything I love on my drive home from work." A little bit of effort can result in a lot of new favorites! Stay positive. If you move to a new place convinced you will hate it, chances are, you'll hate it. If you tell yourself that you've lived in your city for six years so you know all there is to know, you'll never make fun new discoveries. Whether you've just moved somewhere new or you've lived in a city that's not your favorite for years, a little bit of positivity can shine a fresh light on things. 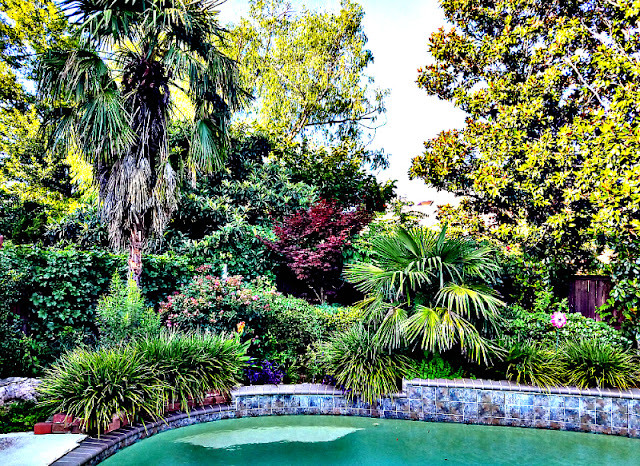 View the time you get to spend here as an adventure, and it will quickly turn into an adventure. 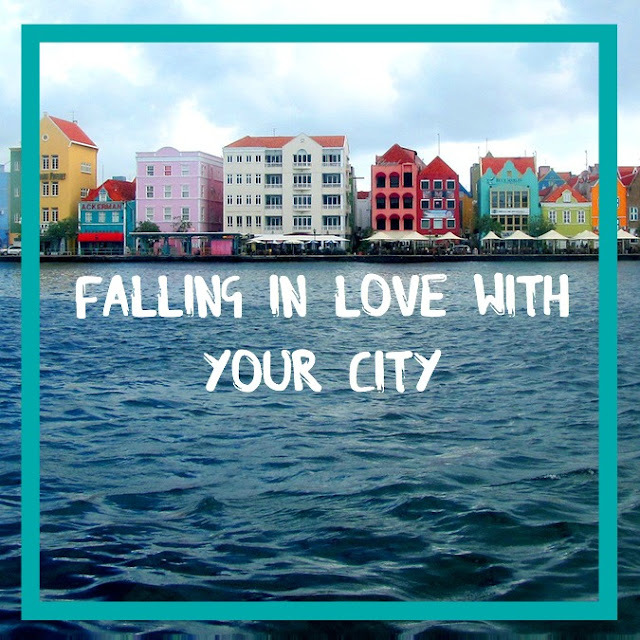 What are some ways you've fallen in love with a city before? 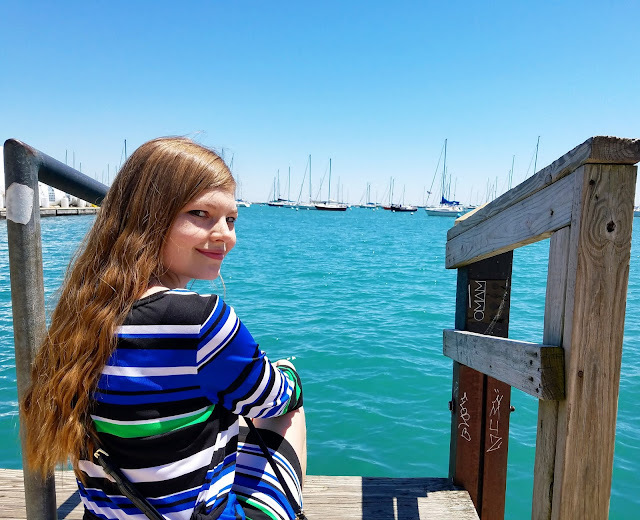 Ashley from The Wandering Weekenders and I both share a huge love for travel, and I love reading all about her fun adventures with her husband. Today, she has a great post about eight things to do in San Francisco, one of my favorite cities. Thanks so much for sharing it with us, Ashley! Hello The Siberian American readers, my name is Ashley and I blog over at The Wandering Weekenders. A couple of years ago my husband earned Companion Pass through Southwest Airlines which means that anywhere he flies, I can fly with him, for free. Needless to say, our traveling hearts got super excited, and even though we both work typical 9-5 jobs, we still find the time to travel, especially on the weekends. One of the things that I've love reading about on Olya's blog is all of the adventures that her and her husband get to go on. Last year, Olya and Christopher went on a California road trip, which, of course, makes me want to visit California all over again! We haven't visited San Francisco in a couple of years, so I thought that I'd talk about the 8 things you have to do when visiting San Francisco! Ride a cable car- Perhaps one of the most iconic things about San Francisco is the cable cars. They've become almost a symbol of this beautiful city, and it definitely beats having to walk all of the hills yourself! Beware though, you'll probably have to wait in line for quite a while in order to ride one, especially since everybody else wants to ride on a cable car too! Walk or bike the Golden Gate Bridge- Probably the other most iconic image of San Francisco is the Golden Gate Bridge. That beautiful red bridge isn't just something beautiful to look at though, it has some of the most amazing views of the city! So take the time to rent bikes and bike across, or take an hour and walk across it yourself! I promise that you'll be wanting to stop every few minutes because the view will get better and better! See the sea lions on Pier 39- Pier 39 in San Francisco has become such a touristy spot, not only because of all the shops and restaurants that tourists can visit, but also because of the famous sea lions that sit on top K-docks at Pier 39. These beautiful creatures arrive in mass, and they definitely make their presence known with all of their barking, but it's not something to miss on your visit! Visit Alcatraz- One of the most infamous prisons in the United States, Alcatraz has become instilled in the minds of Americans through movies and books and other forms of pop culture. Be sure to book your tickets to tour Alcatraz in advance and arrive a little early to board the boat that will take you across the bay to Alcatraz, and you'll definitely enjoy the tour through this infamous prison that's narrated by former prisoners and correctional officers alike. And like the Golden Gate Bridge, Alcatraz offers some pretty amazing views of the city of San Francisco as well! View the Painted Ladies in Alamo Park- If you're a 90's child like me, then chances are you grew up watching Full House, and vividly remember the Full House house that the zoom into several times an episode. That house is actually a part of a beautiful line of houses named The Painted Ladies that are right near Alamo Park. A stop by here is a must do for fans of Full House and lovers of architecture alike! Visit the largest China Town outside of Asia- Because of California's location to Asia, it's no surprise that a big a large population of Asians settled in that state. A huge population of Chinese immigrants settled in San Francisco and created the largest China Town outside of Asia and the oldest in the United States. Be sure to stop by here on your trip to San Francisco and enjoy not only some amazing Chinese food, but also the unique shopping and cultural experiences. Explore Golden Gate Park- Golden Gate Park is a large park located right in the middle of San Francisco that offers a variety of things to do. You could seriously spend a whole day here exploring the museums, the Japanese Tea Gardens, and the Botanical Gardens. Not only will you learn something during your time here, but you'll also be blown away by the beauty of Golden Gate Park. Visit the most crooked street in the world- There's probably two things that people know about San Francisco, that it's foggy city and that it's a city filled with lots of hills. To help keep a section of Lombard street from being so steep, in the early 20's 8 hair pin turns were added to the section between Hyde and Leavenworth streets. This section of Lombard street has gotten the reputation for being the most crooked street in the world, and that is what keeps thousands of people flocking to this street every day to drive or walk down this famous street! Well, now I officially want to head back to San Francisco and go and do all of these fun things! Maybe that needs to be a trip that I plan very soon! Are there any other things that you can't miss when San Francisco? Hey everyone! While I'm recovering from surgery, I asked several blog friends to guest post for me. I have to say, y'all are in for a treat with these wonderful guest posts! 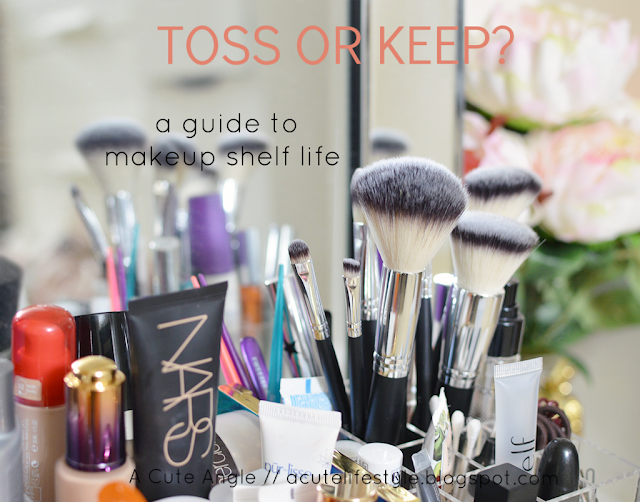 Today, I have Ashley from A Cute Angle with a guide to makeup shelf life! I have to admit I'm the worst at remembering to throw my makeup away, so I will definitely be pinning this post for future use. Thanks, Ashley! How long have your makeup products crowded your bathroom drawer and your makeup bag? Once you open makeup products they are on a time clock. They only last for so long before being contaminated with bacteria that's harmful to your skin. You’ve got two to three months with your mascara wand once it's opened. Once the mascara has gotten thick, or starts to flake, it means its had too much contact with air, and there could be bacteria lurking inside the tube. To prevent this, never pump your mascara. When pulling the applicator out of the tube, twist it around slowly to build up the product. Liquid liner is in the same category as mascara - toss it after three months to avoid a potential eye infection and never, ever share! Pencil eyeliners can have a longer shelf life, but you need to sharpen them regularly. Bacteria can linger and could cause irritation. Spray alcohol on the tip before sharpening and do at least three rotations to remove germs. Once opened, you’ve got 6 months to a year. Check that the consistency still looks the same and apply it using a brush or sponge. If unopened, it can last a couple of years, so don’t be afraid to stock pile your favorite! You can get away with keeping your lipsticks for two years without spoiling. If you keep them stored in a dark, cool place they can be kept longer. Once they start smelling rancid or looking fuzzy you’ll know it’s time to throw them away. Provided they are powders, they have the longest shelf life of any product. If you wet them, it's different story. Wetting them creates a breeding ground for bacteria which can cause eye infections. They’ll have to be tossed around the six month mark. If they are good quality and you take care of them properly, your brushes should last for life. Wash after every use with a brush cleaner and lay them out flat on a tissue to completely dry before storing away. You can also use baby shampoo or this DIY tutorial for brush cleaning. Follow these tips for a healthier you! After spending almost all of 2016 in pain, I can’t believe the day to have my surgery is finally here. I don’t think anyone ever really looks forward to surgery, but I am definitely ready to get past this pain and move on with my life. During these last few weeks, I have had a hard time leaving the house, but I have tried to spend at least a short time outside each day. A few days ago, I was able to go on a short walk and came across a stunning church. As a sat on a bench outside the church with gorgeous sunlight poking through the trees, it hit me: life is so beautiful. There is so much ugly in this world, but beauty is everywhere. Beauty is a cup of English breakfast tea in the morning. It’s the birds chirping outside my window when I can’t get out of bed. It’s in a book I can’t help but keep reading through the night. Beauty is in all the family and friends (that includes you, blog friends!) who have supported me during one of the hardest times in my life. It’s in the tree-lined streets where I take my walks. Life can be hard, but it is so, so beautiful. Thank you so much for your support as I go through this today. I had hoped to answer all the sweet comments and emails I received before the surgery, but the last few weeks have made it difficult. Just know that I have read and appreciate every single comment. I appreciate so much that y’all have stuck with me when I had trouble reading other blogs and answering comments on mine. I will try to post an update on the blog or social media as soon as I can. Note: If you’re new here and don’t know what’s going on with my health, read this first. I’m not going to lie: I’ve had a harder and harder time keeping up with blogging lately. My pain keeps getting worse, and I just don’t have the energy to put together a travel post these days. Thankfully, my spirits are still high, and I’m doing even better now that I finally have a surgery date. I am so thankful for the doctor who will be doing my surgery. She’s a gynecological oncologist, so she does complicated surgeries often. I was also impressed with how well both she and her PA knew my case before I even talked to them. 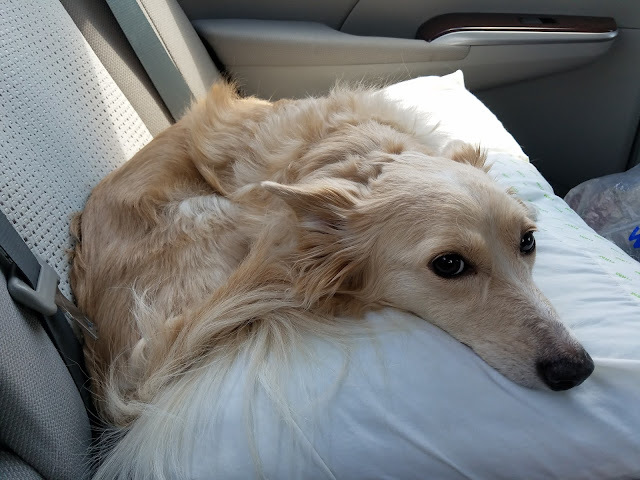 She spent over an hour with me, which is hard for a doctor to do. It was rough to hear that she thinks the endometrioma has grown since my MRI. It was already at 18 centimeters, and my doctor thinks it’s likely over 20 centimeters at this point. For that reason, (and because of my constant pain) she wanted to do surgery as fast as possible. I will be having surgery exactly a week from today—Wednesday, July 20. I will be in the hospital for at least three days following the surgery. My total recovery should be about six weeks. It’s crazy that out of the 52 weeks in the year, my surgery will fall on Christopher’s and my “Super Week.” For those that don’t know, Christopher and I were born two days apart, and our anniversary is two days after my birthday. His birthday is July 21, mine is July 23, and our anniversary is July 25. My goal is to be discharged on my birthday! In all seriousness, I don’t really care that the surgery will fall on our Super Week. My friend Chelsea once told me holidays are when you say they are, and I really embraced that during intern year. We will have to postpone our celebrations this year, but we will have another thing to celebrate: being done with surgery! In general, I have been able to stay positive, but my time at the doctor’s office was tough. It’s hard to hear just how complicated my surgery will be and that my doctor can’t prepare as well as usual due to my endometriosis. It’s even harder to sign what the doctor called the “scary paper” that says she can remove a number of organs, if necessary. I know it's done for liability purposes, but that doesn't make it any easier. I’m an optimist, but even I found myself going down the hole of everything that could go wrong. That said, I have faith. I have faith in God that he will heal me, and I will come out of this trial in my life stronger than ever. I have faith in my doctor, who has done this procedure many times and is both competent and kind. And I have faith in myself. This has been the hardest year of my life, but I am ready to move past it. I am not willing to let this experience define me. I want to thank y’all for your encouragement throughout this process. Your messages and emails have meant so much to me. I’m obviously not sure what my recovery will look like, but I will try to keep y’all as updated as I can. PS-I have asked a few blog friends to guest post for me during my recovery, but if anyone else is interested, I would be happy to have you! I have no idea how many people to line up due to the nature of my recovery process, so I thought I’d put a request on here too. I thought I hadn’t read much since my last book post with our move and everything else going on, but I just looked it up, and I still read nine books. I also did Erin and Dani’s Read My Books Challenge. I couldn’t read books off my bookshelf since we moved in the middle of the month, so instead, I alternated between NetGalley books that have been on my shelf forever and Kindle books I bought months (sometimes years) ago and hadn’t gotten to read yet. 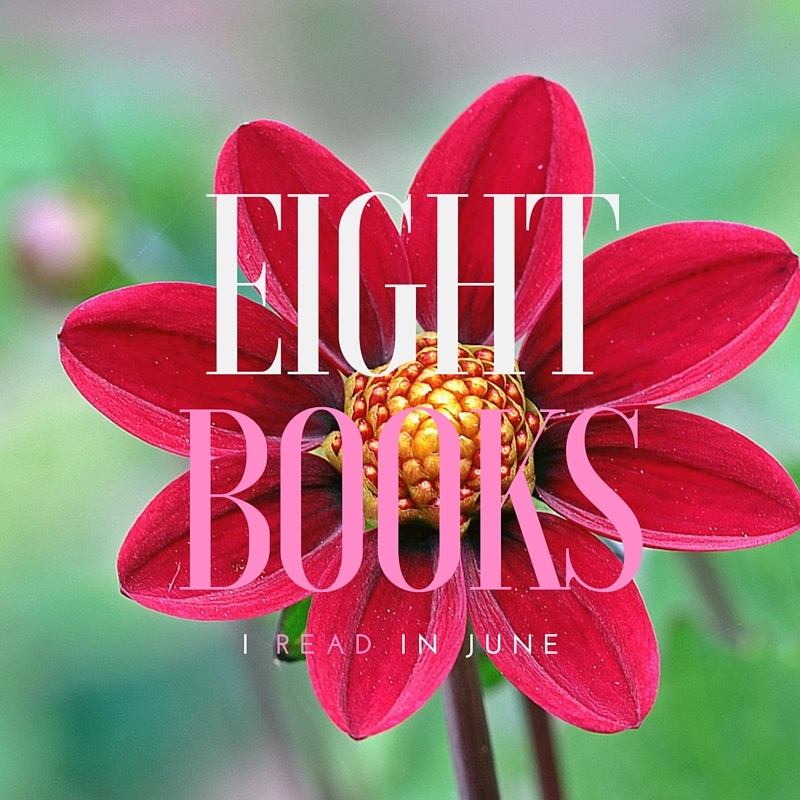 I had a hard time narrowing down which books to share with y’all this month because although I’ve read several good books, I haven’t read many lately that have blown me away. I’m not sure if this has more to do with my mindset lately than the books themselves, so I’m including some of my three-star books in the mix again this month. I don't know what's with me and popular reads lately, but I keep feeling like they don't live up to the hype. 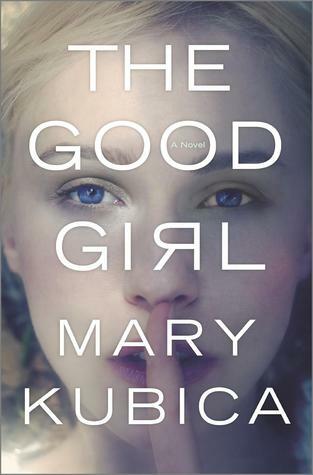 My problem with The Good Girl is it felt super slow and lacked suspense. When the questions were finally answered, it felt rushed. As far as the big "twist" at the end, for some reason I had started suspecting that in the middle of the book, so I wasn't surprised. It was a decent read, but I really wanted it to be more fast-paced. 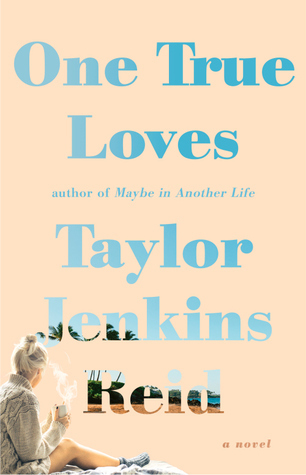 Taylor Jenkins Reid is an incredible writer. In One True Loves, she tells a raw, heart-wrenching story of Emma, a woman who became a widow at a young age and was finally able to move on three years later, only to find out her husband hadn't died. The author took me on a rollercoaster of emotions as she told the story from the beginning of Emma's love story when she first met Jesse to finding out his helicopter had crashed and the healing process afterwards. It's a beautiful story of growth and courage and was masterfully done. I will definitely be reading more Taylor Jenkins Reid books in the future. I had never heard of Judge Joseph Crater before I read this book, so it was interesting to read a fictional account of how he went missing. 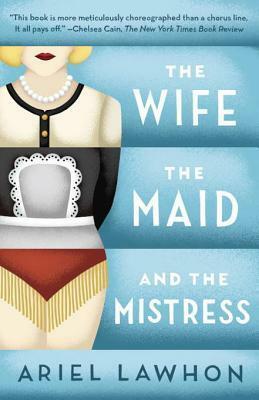 I really liked Stella, the wife, Ritzi, the mistress, and Maria, the maid, but the story really seemed to drag in parts. The facts of what everyone knew did slowly come together, and the author's guess of what happened to Crater was interesting, but I had a hard time getting to the end of the book. Overall, it is a decent read about a historical topic, but it's not a book I will go out of my way to recommend. I really liked While You Were Mine at the beginning, but it lost me a bit in the middle. The romance was seriously lacking and so was the historical component (it's set just after World War II). 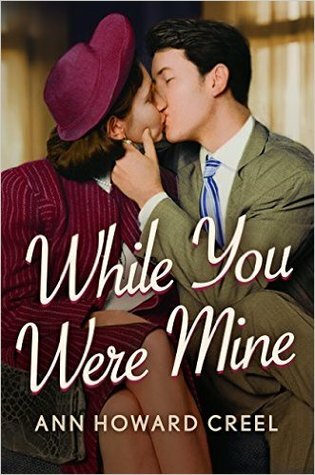 At the end of the book, I felt like I didn't know much about Gwen and John. Even so, I don't regret reading it, but it's not a book I would recommend. This book was such a guilty pleasure! I like the royal family, though I didn't know much about Kate and William's love story (I knew they met at St. Andrews, and it took him a while to propose). 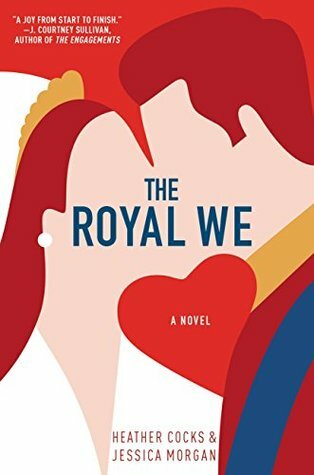 Of course, I had to look up more of their story while I read The Royal We, and this novel does loosely follow the same timeline. I really thought this book was fun. As much as I liked Bex and Prince Nick, I thought the supporting characters really made this story. It was longer than I expected, but I didn't really mind. I was in the mood for this kind of novel, and I'm glad I read it. This book surprised me. It started off slow, and I wasn't sure I was going to like it. 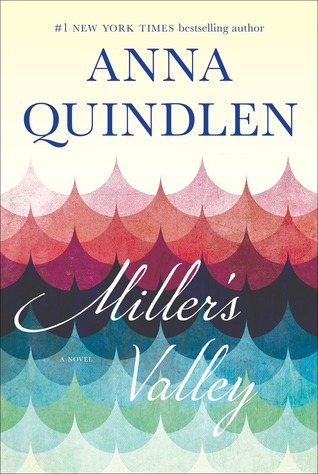 It didn't really pick up its pace, but I grew to like Mimi and her life in the tiny town of Miller's Valley. That said, it took me quite a while to get through less than 300 pages. I'm not sure I would go out of my way to recommend it to people, unless they are in the mood for a slow, reflective novel. 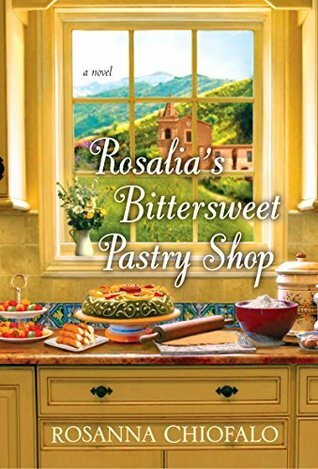 From the description, I thought this was a lighter read than it was (I do recognize that the word “bittersweet” is in the title), but I did enjoy Rosalia's story and all the different pastries mentioned. I did think it was a bit repetitive, and I didn't enjoy the author's writing style. Like I mentioned, I was in the mood for a light read, so I thought most of this book was really depressing, but if you go in realizing it is sad, it is a decent read. 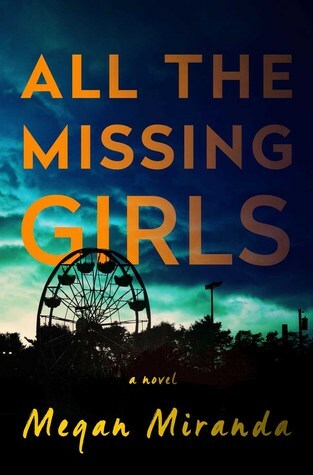 In this thriller, Nicolette Farrell returns to Cooley Ridge ten years after her best friend goes missing to sell her father's house. Within days of her arrival, her ex-boyfriend's current girlfriend, Annaleise Carter, disappears. This book is told in reverse, from Day 15 to Day 1, and it actually works. My biggest concern with this book is I didn't actually feel the suspense, and one of the big reveals was super obvious (the other one wasn't). Still, I thought it was a clever way to tell the story and worth reading just for that! June was a crazy month with our last few weeks in Chicago and our move to Texas, but we still managed to have some fun. Our last weeks in Chicago were all about food. We had a lot to celebrate, and I wanted to try as many places as possible before we left. Our first new restaurant was Bavette’s, an amazing French steakhouse where I had one of the best steaks I’ve ever had and a really delicious crab cake. The biggest event in June was Christopher finishing intern year! I wrote about it here, but I am so proud of how hard he worked in Chicago. To celebrate, we went to Café Ba-Ba-Reeba for some amazing tapas and peach sangria! 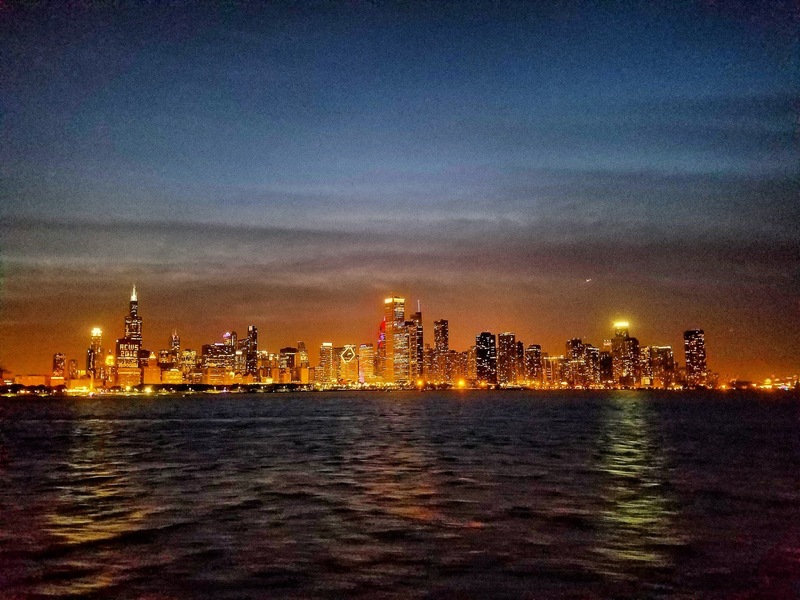 I absolutely loved celebrating the end of our time in Chicago with the Wendella Fireworks Cruise. 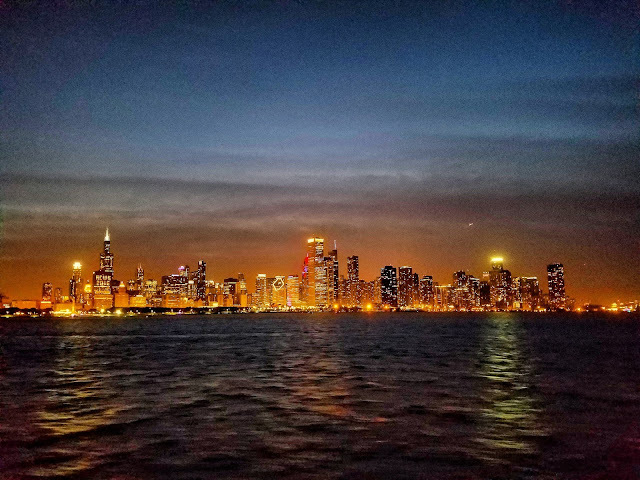 The fireworks were amazing, and I always love seeing the stunning Chicago skyline from Lake Michigan. 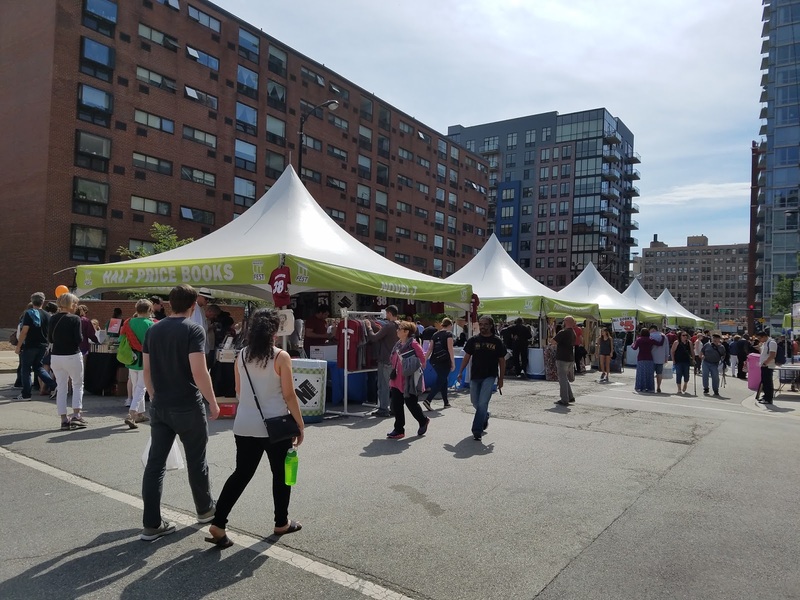 On our last full weekend in Chicago, we stopped by one of my favorite festivals in the city—Printer’s Row Lit Fest. I love looking through all the booths filled with books. Last year, we bought several Coca Cola ads and old Chicago advertisements that I can’t wait to put up in our new place. 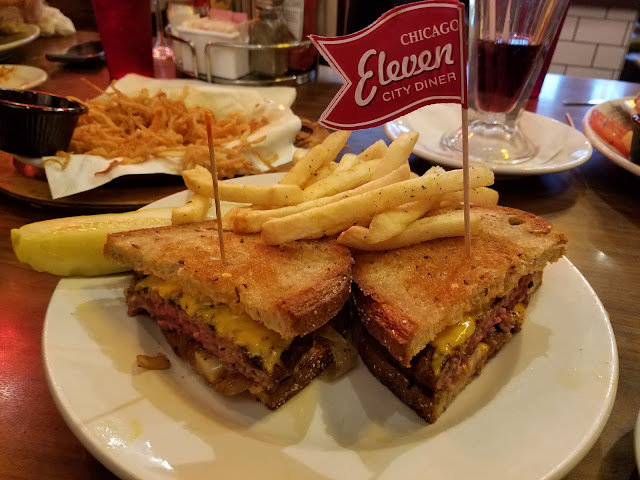 We also met up with friends for dinner at Eleven City Diner, one of my favorite casual restaurants in the city. I decided to try something different from my usual brisket sandwich and got the patty melt. It was super delicious, though the brisket sandwich is still my favorite thing there. Our last week was filled with lots of moving logistics, but we still managed to eat well! 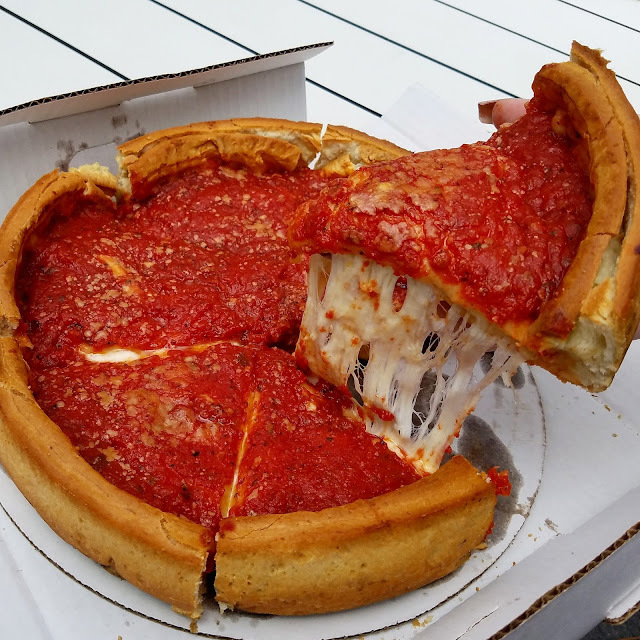 Of course, we had to have some stuffed pizza from Giordano’s (although Giordano’s is considered one of the big three deep dish pizza places in Chicago, their pizza is technically stuffed, not deep dish), which was amazing, as always. We also went to one of the most unique places we tried in Chicago-a Peruvian restaurant called Tanta. 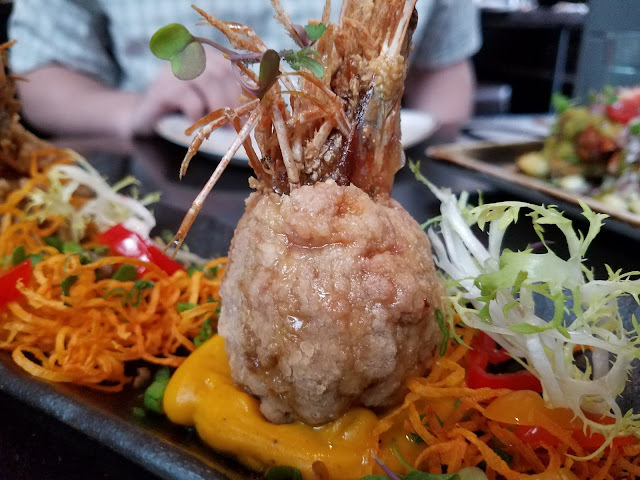 I hadn’t tried Peruvian food before, but everything we had was seriously delicious. On the Friday of our last week in Chicago, I managed to walk to Lake Michigan to say “see you later” to my beloved lake. We also stopped by to pick up food from Wildberry, a fantastic brunch place in the city. My parents arrived later in the day, and we met up with some of their friends at Taverna 750, which had great drinks and even better food. 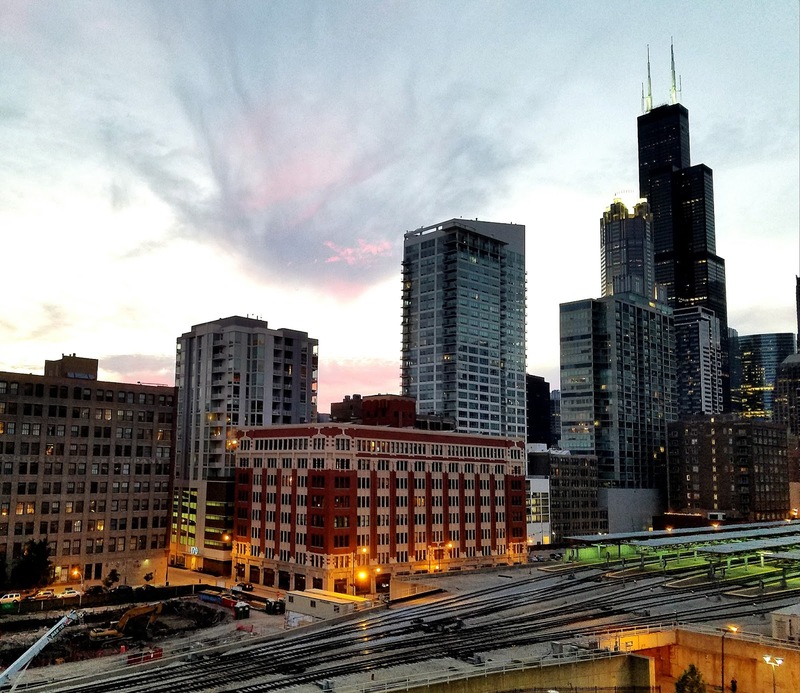 On my last day in Chicago, I went up to our roof to take some photos of the gorgeous view. Then, Chris and I headed to Greek Islands, a nice Greek restaurant in Greektown. Chicago sent me off with a gorgeous sunset! With my dad at the wheel, we made the drive from Chicago to Texas in 13 hours. It was a long day, but it was worth it to do it all at once to get the chance to relax for the next few days. Thankfully, I had a pretty good health day until we reached Oklahoma. For those who have driven through Oklahoma, you know the roads are terrible. It’s noticeable as soon as you cross the border from Missouri to Oklahoma, and the roads are fine again as soon as you hit Texas. I spent the week catching up with my mom until Christopher showed up on Thursday night. Then, we visited some of our close friends in the area. My best friend also stopped by on a day I wasn’t feeling well and asked me to be her matron of honor. I can’t wait for her wedding in November 2017. A few days later, I met her up for lunch and to wish her well in her new adventure on Long Island! Our last week in June was all about moving in to our new place. It’s been hard for me to feel like I can’t do much during our move, but I am so thankful for our families, who helped us out so much! My in-laws even found this place for us since we couldn’t fly home. I am loving our new neighborhood. Once it gets cool enough to walk (and once I’m recovered from surgery), there is a fun park to walk Skyler and plenty of restaurants and shops to walk to nearby. I have really enjoyed catching up with family and friends these past few weeks. On the last day in June, I met up with my former boss (who is a great friend!) for a great lunch at a sushi place capped off with some pie from Emporium Pies. Phew. That was a long update. Tell me what’s going on in your life! Happy Friday, friends! It’s been a crazy week full of moving, but the dust has settled enough that I can share a few updates. Sorry for my lack of answering comments and commenting on blogs. I should be back on a regular schedule after this weekend. Christopher started his radiology residency today. (For those who don’t know, July 1 is the official start of the medical new year.) It’s the start of an exciting four-year adventure, and I couldn’t be prouder. The moving on Tuesday went really well. I’m so thankful for my in-laws, who helped Christopher unpack due to my limited mobility. Even though we downsized, they converted our “study” into a closet for Christopher, so we have a ton of storage space! Speaking of moving, we live in such a cute neighborhood! I’m already so eager to explore all the fun shops and restaurants in walking distance. It’s way too hot to walk for long right now, but it will be great in the fall. For now, I’m grateful to utilize all the (free) parking! 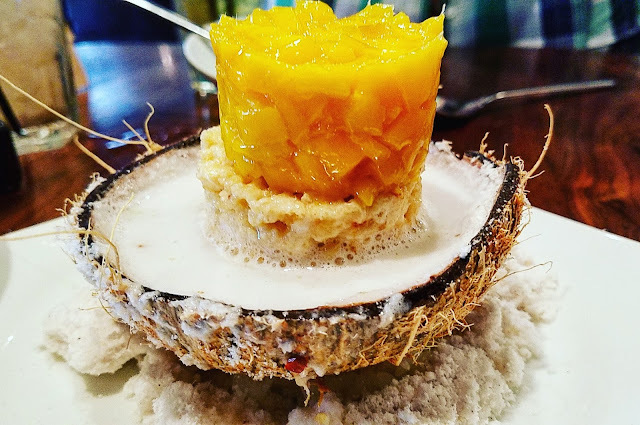 Check out this mango sticky rice dessert we had on our first full day here. It was seriously so delicious! Many of you have asked me for a health update, but I don’t really have one right now. I have an appointment next Thursday, and I’m praying I will have a surgery date then. Because Christopher’s first few days of residency are orientation (he has already been through several days of hospital-related orientation. Now he has radiology-specific orientation), he has both the weekend and Fourth of July off! After intern year, a three-day weekend feels like a gift!